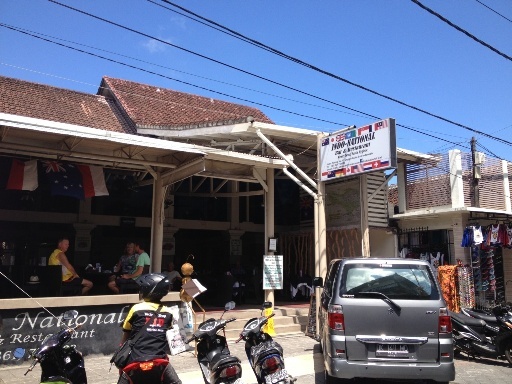 The Indo National Bar & Restaurant Bali is a great place to eat as a family or leave the hubby while Mum goes shopping. 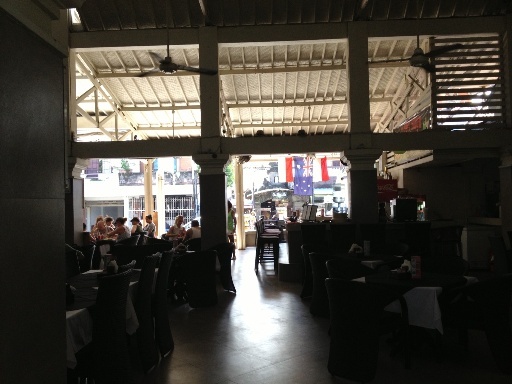 It is owned by Australians, and this spacious, clean restaurant boasts top quality hygiene and offers cuisines from around the world! With Australian, Indonesian, Italian, American and more dishes availalbe you are sure to find something on the menu to satisfy your hunger. This restaurant is great value too! The meals are so cheap, but don't worry there is no compromise on size or taste, the meals are delicious. 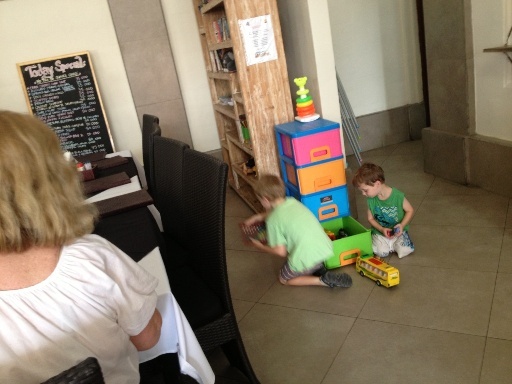 For the kids there is a little toy box, books and colouring in. A tables are layed out with lots of space between there is plenty of room for prams and easy access via the restaurant ramp access. 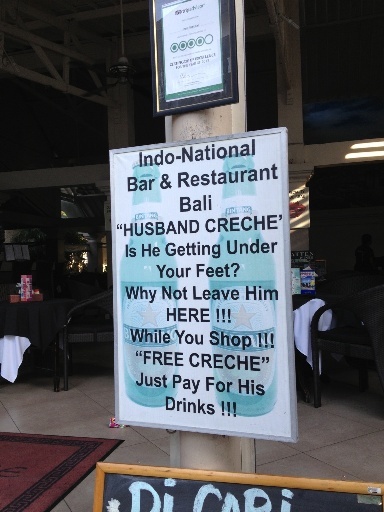 Or drop off Dad at the Husband creche and enjoy some peaceful shopping time!